Christian parenting and spanking – is there a valid connection when practiced properly? Neither permissive nor authoritative parenting are biblical forms of child discipline. Permissive parenting excuses a child’s whims and accepts whining and tantrums as inevitable. A permissive parent allows the child to set his own boundaries so as not to risk challenging the child’s will. Authoritative parenting can be just as detrimental. Parents become tyrants, expecting the child to accept their authority – not God’s – as absolute and without error. In most cases the child is not permitted to make any decisions. Authoritative parents administer harsh discipline continually, often over-disciplining. When spankings are administered as a last resort by a frustrated or enraged parent, they are contrary to God’s commands. “If you refuse to discipline your children, it proves you don’t love them; if you love your children, you will be prompt to discipline them” (Proverbs 13:24, NLT). It is important for a parent to distinguish between discipline and punishment. 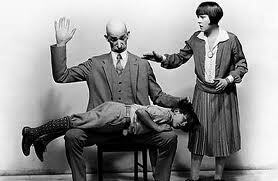 When parents discipline they focus on the child’s needs. When parents simply punish or threaten a child with spanking, they are focusing on their adult needs. King David was a betrayer, liar, adulterer, and murderer. God never held back His forgiveness or discipline regarding David’s actions. Yet a repentant David affirms, “But you, O Lord, are a compassionate and gracious God, slow to anger, abounding in love and faithfulness” (Psalm 86:15, NIV). Christian parenting and spanking – is there a valid connection through love? God gave ancient, unbreakable commandments to His children. “Love the Lord your God with all your heart and with all your soul and with all your strength. These commandments that I give you today are to be upon your hearts. Impress them on your children. . .” (Deuteronomy 6:5-7, NIV). Jesus restates those commandments centuries later in Matthew 22:37-39. Christian parents choose to apply discipline to teach God’s moral laws to their children. Christian parenting and spanking – is there a valid connection to the Father? Spanking should never be the objective of Christian parenting; it is one of many tools with which to achieve biblical principles in childrearing. Parents that discipline consistently and appropriately demonstrate God’s love. When parents reflect the discipline of our Heavenly Father, they nurture their children’s spiritual, physical, and emotional well-being. Children will learn that God continues to walk beside them even when they make mistakes (faithfulness). Children will learn that God is more interested in their current efforts to do right, rather than their past mistakes (forgiveness). Finally, children will learn that God is committed to helping them find their way back home, no matter how often they have faltered or how unworthy they might think they are (redemption). “And this is the promise: If you honor your father and mother, ‘you will live a long life, full of blessing'” (Ephesians 6:3, NLT). Thank you for posting this! I totally agree and not many parents do this day and age.